It's the start of a new week at SuperPhillip Central, and with it comes a new review. 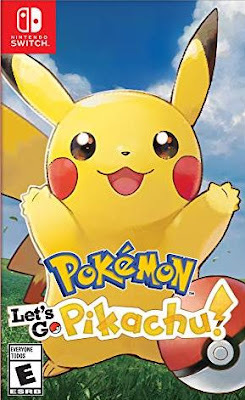 Pokemon: Let's Go, Pikachu! and Let's Go, Eevee launched this past November, but in my hiatus, I didn't get to cover these games properly. I make amends to this mistake with this in-depth review. Enjoy! Back in my middle school days, Pokemon reached American shores, and I was completely addicted. I religiously watched the anime on weekday mornings, I collected the toys and the playing cards, I drew my own series of comic books (Ash Ketchum still has nothing on Phil Gotem--Gotem actually WON a Pokemon League), and I, of course, played the games. It was around the fourth generation of Pokemon games during the Nintendo DS handheld era, that I found myself falling out of love with the franchise. Sure, I picked up the odd spin-off here and there, but my thirst and appetite to play the mainline generation games was pretty much gone. Every journey must start somewhere and this one starts in Pallet Town. Fast forward to this past November, and Pokemon: Let's Go, Pikachu! 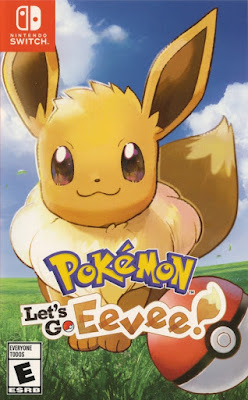 and Pokemon: Let's Go, Eevee! have arrived on the Nintendo Switch as the first major traditional Pokemon games on the system. A remade and revised version of Pokemon Yellow from back on the Game Boy Color, the duo of games yearn to reintroduce Pokemon to lapsed fans, but more importantly pick up a whole new audience from the iOS Pokemon GO phenomenon. What both Pokemon: Let's Go games end up doing is creating a pair of unique Pokemon titles that have some ace features that I would love to see appear in this year's Gen 9 Pokemon title. I got Pokemon: Let's Go, Pikachu!, so my starter Pokemon was none other than... What was his name again? 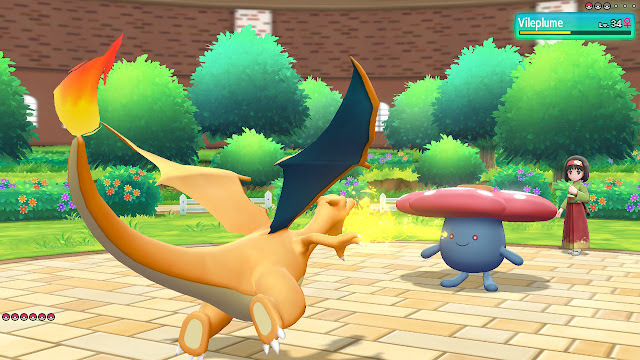 One of the major, immediate-to-see changes in Pokemon: Let's Go is that there are no longer any random encounters. No, you will not wander the many, MANY caves of Kanto, constantly being interrupted by battles with Zubats and Geodudes. Instead, Pokemon are shown on the screen, appearing out of quick cloud of smoke when they arrive on the scene, and running into them will trigger a "battle". I put "battle" in quotes for good reason, but I'll get to that soon enough. 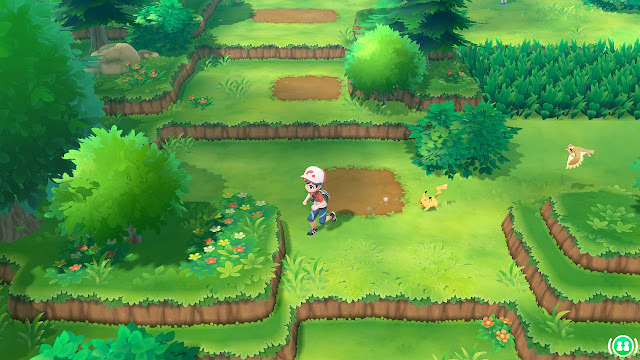 With Pokemon: Let's Go's method of entering battles, not only can you choose to avoid or enter confrontations with Pokemon, but you also don't have to aimlessly venture through patches of tall grass, hoping for that one random encounter for a Pokemon you may or may not be able to catch. Pokemon in Pokemon: Let's Go appear on screen and vanish after a good while. You merely have to be in the vicinity for Pokemon to "spawn". There's still randomness and luck involved with what types of Pokemon spawn, but there's a genuine lack of players' time being wasted by entering battles, escaping battles when the RNG chooses the Pokemon to appear that you didn't want to battle, and doing the whole process ad nauseum. It saves so much time and is a much less tedious process. 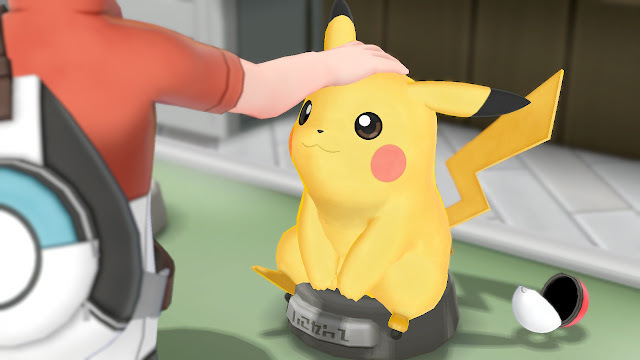 This is a type of quality of life improvement to the Pokemon formula that I wholeheartedly welcome for future mainline installments of the franchise, whether Let's Go-related or not. you can choose which Pokemon encounters you want to take part of and which ones you don't. As for "battles" against Pokemon out in the wild, that's in quotes merely for the fact that you don't actually fight them. 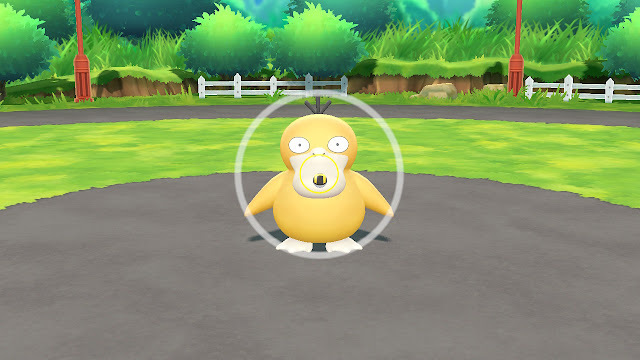 Instead, using a type of catching system from Pokemon GO--one that will decidedly not make every Pokemon player happy--Pokemon are caught by timing your throw of a Poke Ball, making sure it hits the Pokemon you wish to catch, and hoping for the best. Your odds on catching a specific Pokemon are denoted by the color of ring that contracts around the Pokemon. Green being the easiest to catch and red being the most difficult. Thankfully, you're not left to whims of your luck to catch a Pokemon. Stronger Poke Balls can ensure a greater chance of catching success, as can berries fed to Pokemon, just like in Pokemon GO. Also like the mobile juggernaut, by throwing a Poke Ball within the contracting and expanding ring that surrounds the Pokemon you wish to catch, the better your chances to nab your desired 'Mon. Obviously, the smaller the ring is, the more likely it is you'll catch the Pokemon. Using an Ultra Ball AND throwing it directly in the middle of the circle? You better believe I better catch this Psyduck! Unfortunately, not all is perfect with the execution of catching Pokemon, and I mean this in a technological sense. If you're playing the game in docked form, you use one Joy-Con and swing it gently downward to "toss" a Poke Ball. However, sometimes you'll have to throw a Poke Ball at a curve, and the game doesn't always read the Joy-Con's motion correctly--well, like--seldom, if ever. On many occasions I'd find myself moving the Joy-Con at what I perceived to be the correct angle and motion, but the ball would still be thrown completely straight. A waste of a Poke Ball and a waste of my time, too. Not to mention quite a bit frustrating to say the least. However, if you play in handheld mode, you have the option to use the analog stick or gyro sensor of the Switch Joy-Cons to aim, point, and press a button to throw a Poke Ball at your intended Pokemon target. Catching a Pokemon gives experience to all of the Pokemon in your current party, and this number is based on a number of fun factors, like how well of a throw you performed (was it a nice throw, a great throw, or an excellent throw? ), how many of that type of Pokemon you've caught in a row, and if it was your first throw in general. Catching more of the same type of Pokemon in succession increases the chances for discovering "shiny" Pokemon--different colored Pokemon than usually found in the wild. This is also more supporting evidence for why doing away with random encounters like Pokemon: Let's Go does is a positive thing. 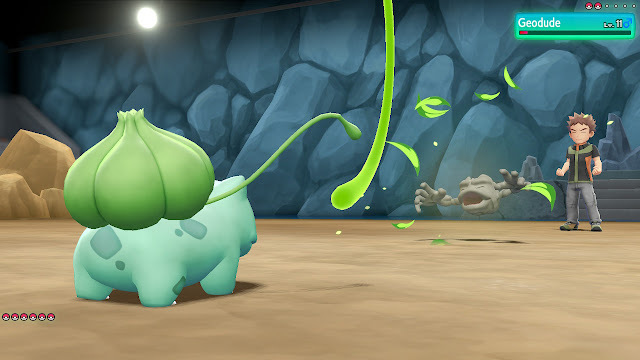 You can easily avoid Pokemon you don't wish to catch and have both better odds of finding and catching "shiny" Pokemon in Let's Go compared to entering random encounters in a mainline game and hoping your seemingly infinitesimal odds of having a "shiny" Pokemon appear work out for you. Pikachu provides a charge of two types--a physical one AND an electrical one! Like with Pokemon encounters and attempting to catch the precocious creatures, when you're playing with the Switch in its dock, you can enjoy Pokemon: Let's Go one-handed. You can opt to use either the left or right Joy-Con controller held in the palm of your hand, and this makes for an incredibly accessible and surprisingly enjoyable experience. Furthermore, if you purchase the Poke Ball Plus accessory, you can play the entire game using that. What isn't so much accessible nor enjoyable is trying to pair and maintain contact with your Switch and phone in order to transfer Kanto region Pokemon from Pokemon Go to Pokemon: Let's Go. The myriad steps and technical errors that can easily pop up make for a constant headache, at least from my own experiences. Thankfully, one can also opt to trade Pokemon locally or online with friends, if the Pokemon GO option is deemed too taxing, as it was for me. 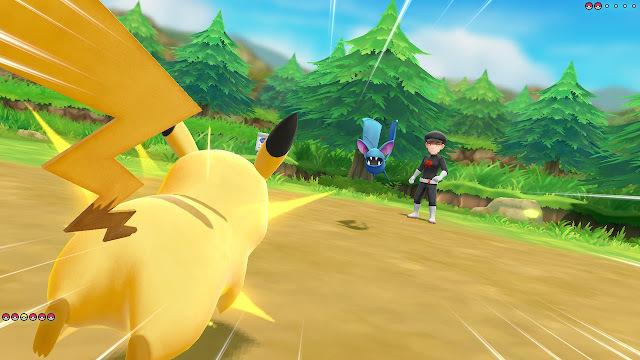 Trading via a local wireless or online connection is relatively quick, painless, and can net you Pokemon that aren't available in your version of the game--as both Pikachu and Eevee versions house a handful of Pokemon that are only available to catch in those versions. It's nothing veteran players of the Pokemon series don't already know, but again, this game is also for new players of the mainline Pokemon games, too. Eight gym leaders need to be beaten to acquire their badges, and then it's on to the Pokemon League! 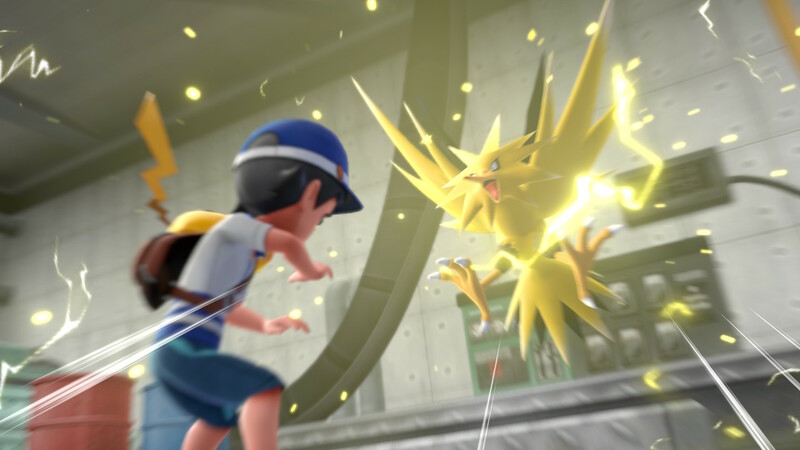 Pokemon: Let's Go offers traditional trainer battles where the typical formula of battling Pokemon takes place. 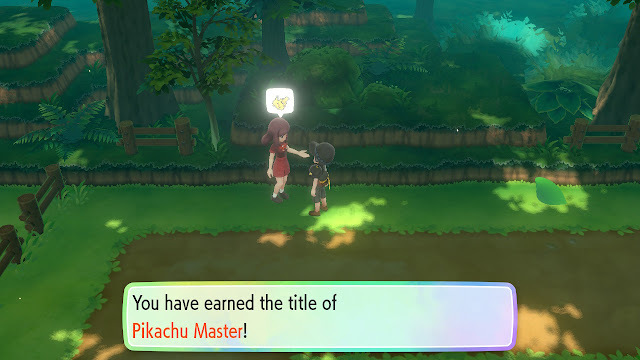 These are numerous throughout the game, easily totaling over 200 just through the base game--and that isn't even mentioning the all-new Master Trainers (each of which specializes in one Pokemon apiece, even using moves that that Pokemon isn't generally familiar with) that unlock once the story of the game has been beaten. Defeating a Master Trainer will earn you a special Pokemon title. For most players, however, Pokemon: Let's Go, Pikachu! and Let's Go, Eevee! have battles that are an absolute breeze, especially if you tend to use your starter Pokemon--Pikachu in Let's Go, Pikachu! and Eevee in Let's Go, Eevee! (shockingly enough). Additionally, one can only face Magikarp in battle so many times before it gets repetitive. And don't get me started on those gimmick trainer battles where you have to face six Magikarp in a row, as a means to grate on my nerves, surely. Erika brought a Grass Pokemon to a firefight. She will soon regret that mistake. 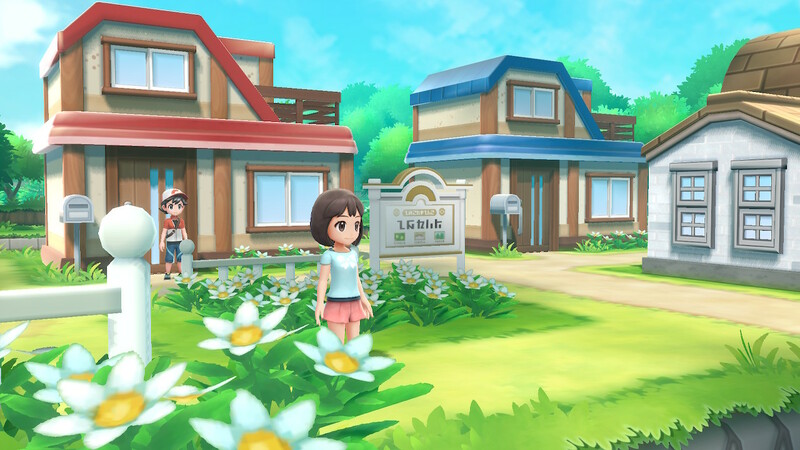 But for the problems that Pokemon: Let's Go does obviously have, somehow seeing the familiar Kanto landscape, towns, and areas re-envisioned in tremendous polygonal glory makes it all worthwhile of a game. Okay, and the lack of random Pokemon encounters, the included cuteness of being able to interact with either Pikachu or Eevee, the ability to ride or have Pokemon tag alongside you on the overworld, and the expanded upon story elements--they also help make the game very much worthwhile. New cutscenes such as this liven up an already electrifying duo of games. The visuals have a simple but extremely clean look to them. The color palette is full of warm, soft tones and colorful hues, and being able to explore areas that were once solely viewed in basic 2D sprite form on a small Game Boy or Game Boy Advance screen and see them now in 3D tugs on this 32-year-old's heartstrings. The orchestrated soundtrack, too, brought a smile to my face, and hearing familiar themes arranged with high quality sound and instruments is truly fantastic. Even if you don't have nostalgia for the original Pokemon games--which Game Freak intends with the arrival of so many new players from Pokemon GO--you can very much enjoy the Kanto region's sights and sounds. 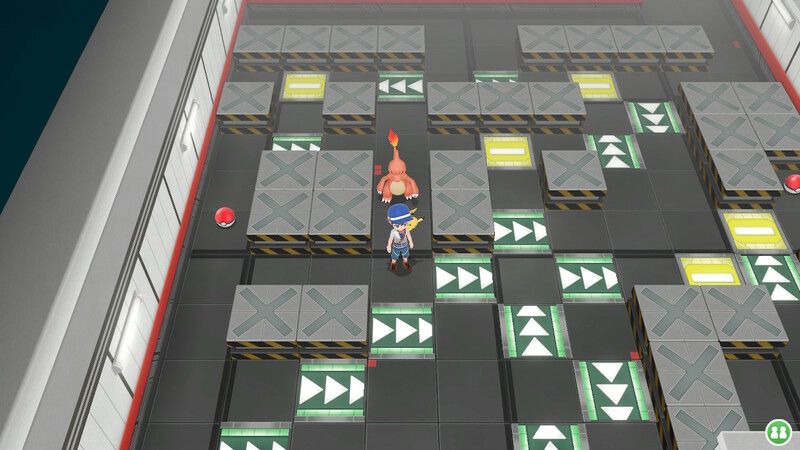 Yes, you, too, can experience the Team Rocket Hideout puzzle tile rooms in 3D! Pokemon: Let's Go, Pikachu! and Let's Go, Eevee! present an easier, but enjoyable all the same, pair of Pokemon games that do enough to change the formula for the better to make for a worthy purchase for fans of the franchise. The requirement to catch Pokemon a la GO, may ruffle some Fearow feathers with more steadfast fans, but for everyone else, Let's Go, Pikachu! and Let's Go, Eevee! offer tremendous value, a good amount of content, and plenty of Pokemon to catch, train, and master.